One of our "Power 30 Solution Providers"
Laurie Dasher began her professional career working for her parent's channel partner company in Birmingham, AL. 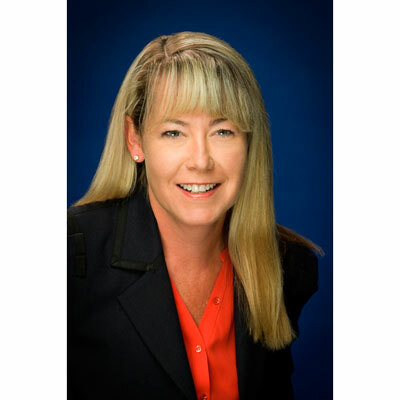 Laurie quickly rose to the role of account manager and managed both mid-market and enterprise customers. Laurie moved to California in 1993 and eventually started Dasher Technologies in 1998. During her reign as President, Laurie has seen Dasher grow from a startup to a firm with revenue in excess of $150 Million. The firm now has offices in California, the Pacific Northwest and the Southeastern region of the United States. Laurie continues to be involved in all areas of the company but her emphasis is on strategic growth and ensuring operations excellence. Through Laurie's leadership, the company has seen its professional service offerings increase eight-fold over the past 5 years. Outside of Dasher, Laurie is a mom to two teenage sons and she also is a member of the advisory board for the School of Business at Auburn University. When Laurie isn't working, she can be found on a boat in Key West performing one of her favorite hobbies, deep sea fishing. How have you personally helped advance your company's channel business over the past year? Laurie's vision for Dasher has helped the company realize its goal to become one of the premier channel partner organizations in the United States. Laurie and her executive team never lose focus that the success of its customers is always the most important factor to keep in mind. Laurie has always believed in promoting from within and delegating responsibility as employees show that they are capable of handling ever increasing task complexity. Three of the 5 senior level positions at Dasher are held by employees who were promoted from individual contributor positions. At the beginning of each year, Dasher's Executive Leadership Team, headed by Laurie, identify the 5 key strategic issues that will govern and guide the direction of the company. Dasher prides itself on never wavering from these guiding principles and in turn, the company is seen as a solidifying entity in the partner community. Finally, Laurie has never shied away from making investments that will produce both short and long-term gains. These investments have allowed Dasher to provide an ever increasing breath of solution and service offerings over its 20 years in business. What are your goals for your company's channel business over the next year? Dasher sets both quantitative and qualitative goals each year. For 2018, Dasher has established a 20% increase in organic top line revenue and Net Margin. Dasher has also set a goal to increase its Services revenue by 75%. The professional development of Dasher's employees is also a key point of emphasis in 2018. Listening to our customer's requirements and concerns and investing in solutions that solve many of these pain points is our goal every year. What honors, awards, or commendations have you won over the past year? Meg Whitman continues to be one of my role models. Whether it is making a difference in improving society's ills or running a Fortune 15 company, Meg is always able to provide leadership and a stable guiding hand in all aspects of her working and personal life. Meg has provided many encouraging words to me personally over the years and each time, it has been very comforting hearing that Meg approves of the work our company is doing and the path we are taking to guide and influence our customers. What advice would you give your 16-year-old self? Try to be as well-rounded as you can be. Spend time on your academics but build friendships that will hopefully last a lifetime. Think about ways you can contribute to society but think about yourself on occasion and take time on occasion to enjoy a good book or to indulge in a favorite pastime. Who you are now will have a profound effect on who you are going to become. Keep up the good work, you are going to do great things in life. If you could master any new job-related skill, what would it be and why? I am very remiss when it comes to utilizing social media. I do spend some time with close friends via the Facebook app but I really should utilize twitter and other social media tools to learn from my peers and to provide my thoughts, concerns and opinions on a greater stage. Who says you can't teach an old dog new tricks?!? What's the best book you read this past year and why did you like it? Team of Rivals: The Political Genius of Abraham Lincoln by Doris Kearns Goodwin I enjoyed this book on many levels, two reasons stand out to me. The first is that Abraham Lincoln chose to surround himself with cabinet members who would challenge him each step instead of just choosing friends and associates who would be agreeable to Lincoln's vision. This is not the norm and I found myself thinking about times in which I have chosen the easier path instead of the best path. The other item that I love about the book was the detail that the author presented. Stay updated on the community, events and special offers.